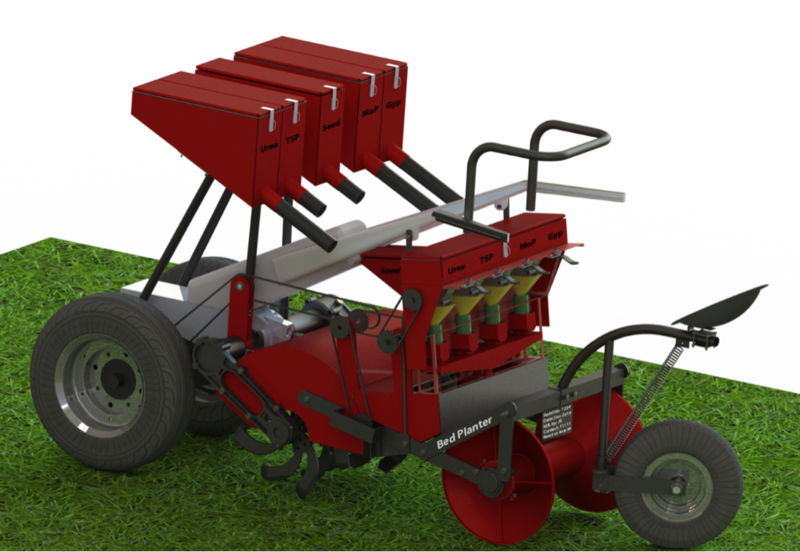 A two-wheel power tiller based Bed Planter was designed with a Human Centered Design Approach. The Bed Planter first pulverizes the soil and then applies seed and fertilizer at the required depth and gap. It thereafter covers up the seed and fertilizer with soil and creates a soil bed.